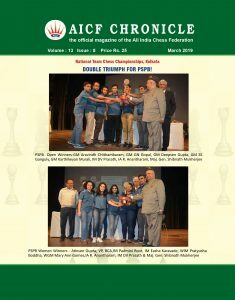 Top seed and sole-leader GM Karthik Venkatraman went down to FM Wagh Suyog in the tenth and penultimate round of the National Juniors Chess Championship, organized by Delhi Chess Association, on behalf of All India Chess Federation at KD Jadhav Hall Indira Gandhi Stadium, New Delhi yesterday. 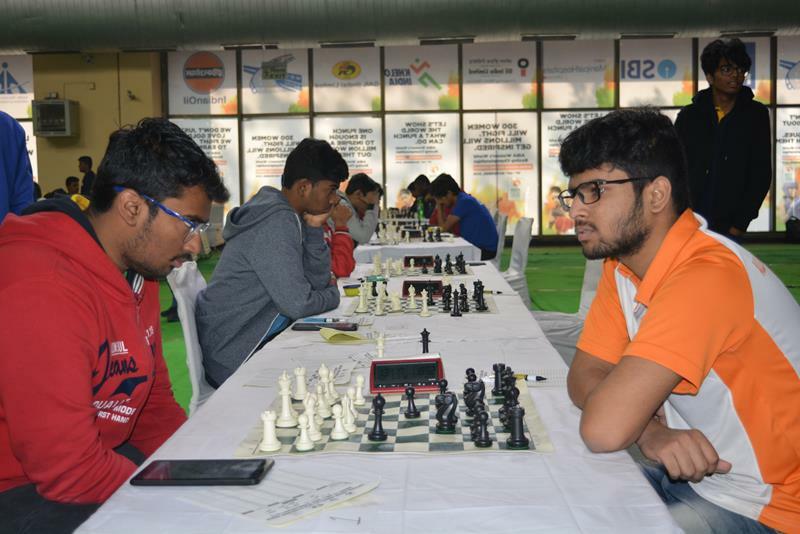 Karthik Venkataraman of Andhra Pradesh played against FM Wagh Suyog of Maharashtra on the top board. Karthik played Larsen attack, he had a better position but unfortunately enough he had overlooked 32. Ne2+ which forced him to exchange his queen for Rook and Bishop. 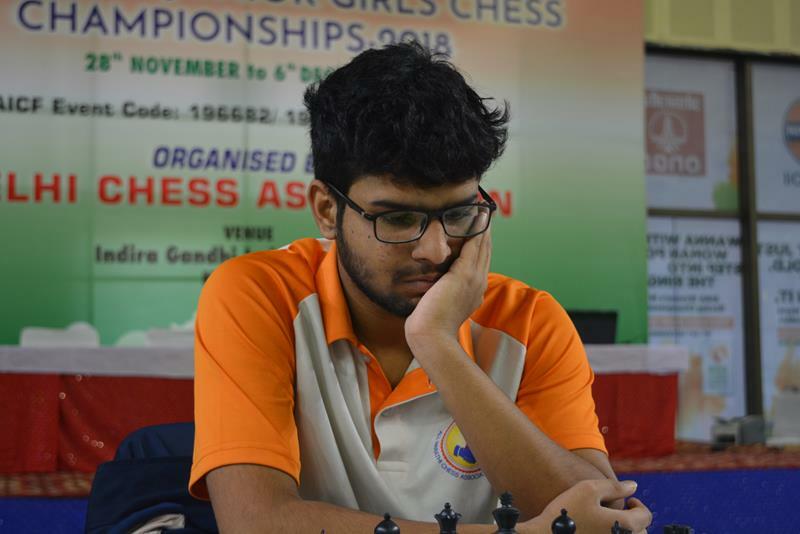 Wagh Suyogh continued a long game accurately and succeeded to defeat the leader. This loss of Karthik opened a chance for four more players to wear the crown of the championship. 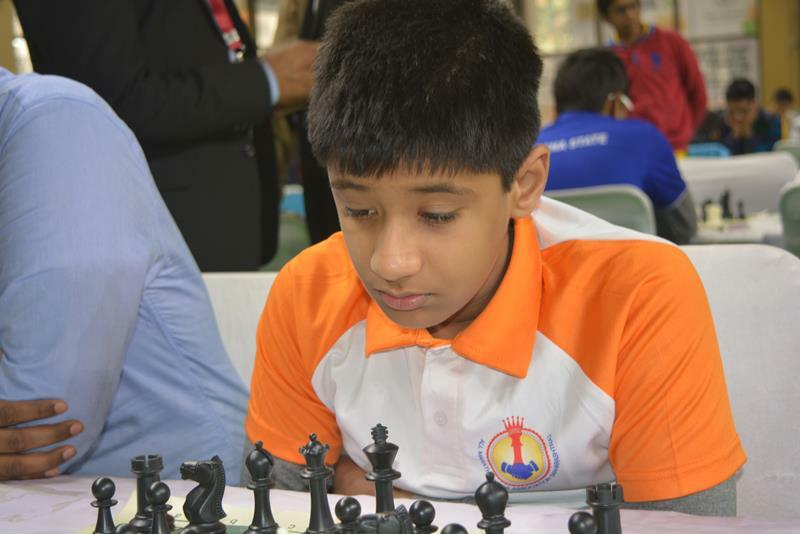 On second board FM Nitesh Belurkar of Goa played against Sammed Jaykumar Shete of Maharashtra. Sammed played Grunfeld defence from the beginning both the players played safely and on 50th move there was no chance of win and both settle to share the points. In the Girls section Aakanksha Hagawane of Maharastra emerged as a sole leader by leading half point. 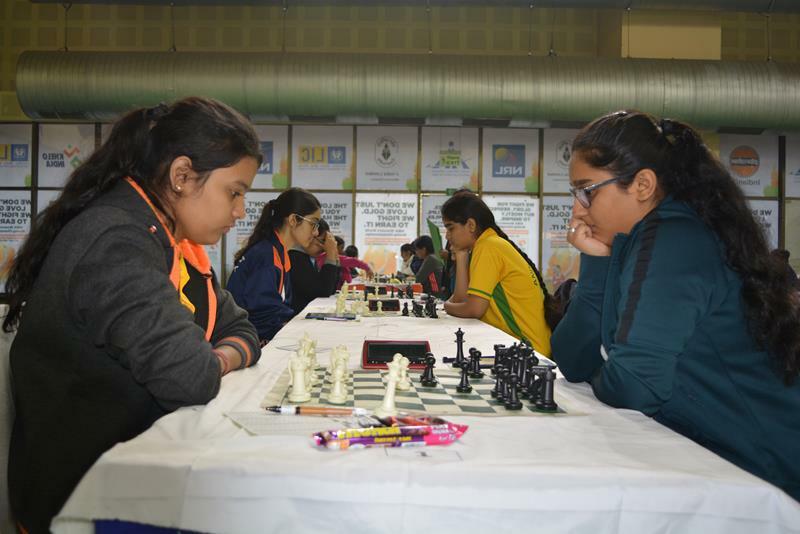 Aakanksha played with black pieces against WFM Arpita Mukherjee of West Bengal Arpita had slight advantage in French defence and she fought hard to get the win. But Aakanksha defended the game very calmly on 48th move both signed for peace. WIM Aakanksha Hagawane of Maharashtra is in lead with 8.5 points. Bo. No. Name Rtg Club/City Pts. Result Pts. Name Rtg Club/City No.